American teenager Ezra Schwartz killed in Israel attack. The site of an attack in the Jewish settlement bloc of Gush Etzion, south of Jerusalem, in the Israeli-occupied West Bank, on November 19, 2015. An American teenager was killed during an attack in the West Bank Thursday that killed three people. Ezra Schwartz was 18 years old and a recent high school graduate from Massachusetts who was spending the year studying at a religious school. According to the Israeli military, the Palestinian assailant fired shots from a car and then crashed the car into pedestrians. It was not immediately clear how Schwartz was killed, by the car or gunshots. A Palestinian and one Israeli were also killed; the gunman was arrested. 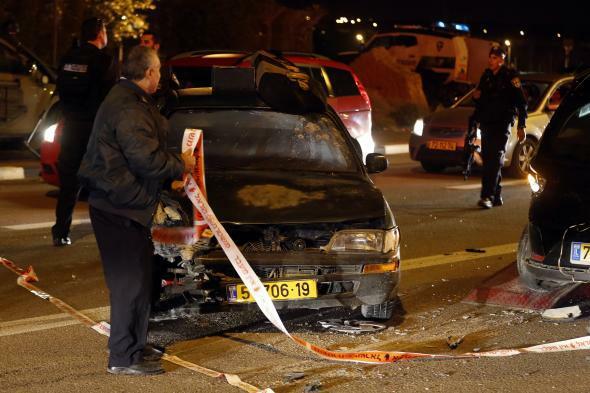 According to Channel 2, Schwartz and other students from the yeshiva were in a minivan on their way to deliver snacks to Israel Defense Forces soldiers when a Palestinian motorist armed with an Uzi submachine gun opened fire toward cars near the settlement of Alon Shvut. Two other people, Shadi Arafa, 24, a Palestinian from Hebron, and Yaacov Don, 51, an Israeli from Alon Shvut, were killed in the attack. Five others were wounded. There was another attack in Tel Aviv earlier Thursday; a Palestinian man stabbed three people in the city’s commercial district, killing two. “The two attacks, and the high number of fatalities, left Israelis on heightened alert,” according to NPR.